Buckle your seat belts. 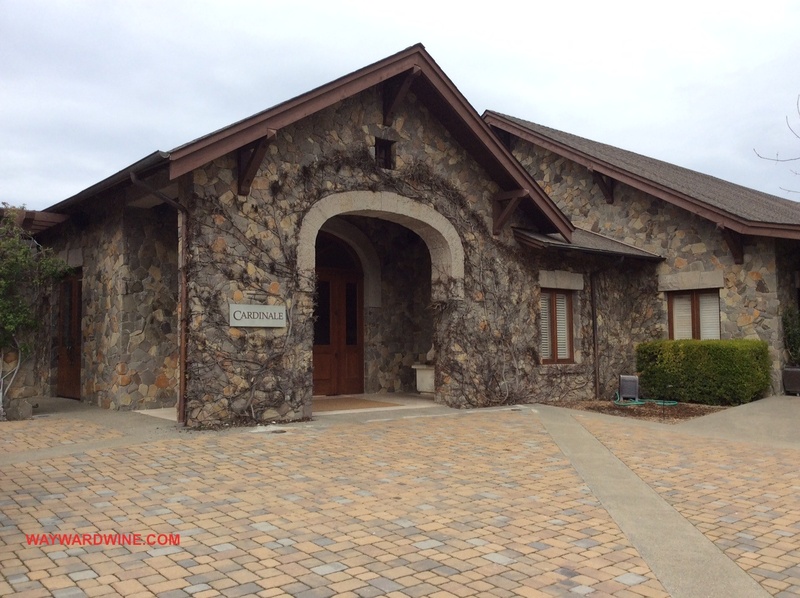 We continue our tour of Napa Valley. 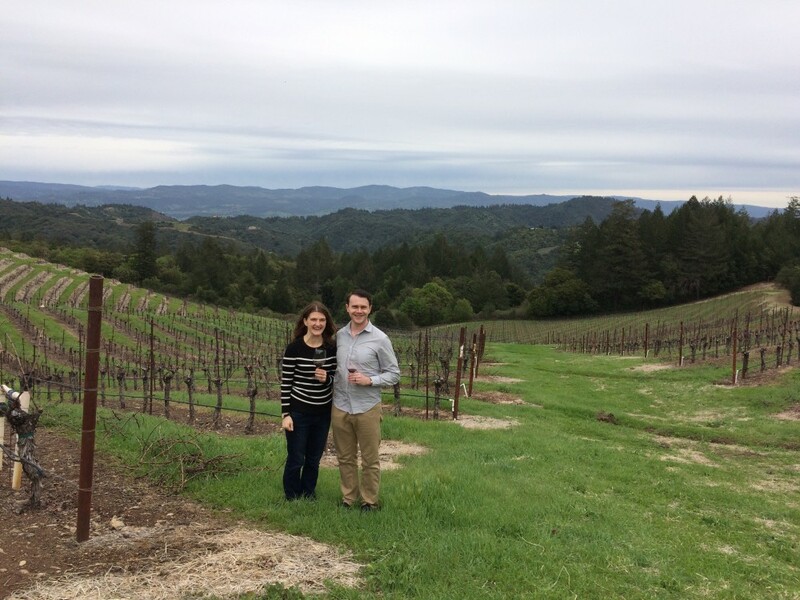 After a palette-staining day at Pine Ridge, Lewis Cellars, and Black Stallion, a single day visit to Cardinal sounds lenient. Yet Cardinal is the tip of an ice berg. It provides locus for hospitality services of the Spire Collection: the creme on top of the cream of the crop of Kendall Jackson’s holdings. Wines and wineries that rarely make it to your local shelf huddle under this empire’s gilt umbrella. An impromptu work-with I set up with Spire’s representative led to a generous invite here. But Nina just told us save the day from 10-4. We had no idea what they intended. We wind up their hill. Rains have halted. But it remains cool, quiet, and grey today. We forgot our jackets. Then a Mercerdes SUV trundles up. Sally, seemingly caffeinated for all eternity, greats us, offers jackets, grabs bottles, and introduces a bonus companion that day, Marcelo (formerly Quintessa’s Hospitality Manager). The APPEARANCE looks a pale lemon, glinting green. Concentrated but handled AROMAS of lime peel and stargazer lily lead but pink grapefruit, mint leaf, even peach follow. The PALATE feels dry, with medium plus acidity and a medium alcohol and body. FLAVORS tend toward tropical fruits like pineapple, yet tastes restrained with lemon, lime, and salinity that meanders a medium plus length. What make Galerie SB cool is that female winemaker, Laura Munoz, strives toward Loire levels of dry, mouthwatering balance even in Napa by blending four regions: an impossible goal, yet a refreshing, tidy SB: Very Good (4 of 5) drink now. We then reach the end of the drive. Napa sprawls below old, terraced Cabernet vines. A thin film of soil and windy, cold, mountain weather strains vines to produce ink-dot grapes of extreme complexity. Plump, purple ink, deep stuff, this Malbec is all intensity: aromas and flavors of black raspberry syrup dominate, followed by cocoa powder, flint, ash, and saddle leather, all of which linger a long length. Huge, velvet drape tannins and enough alcohol warms off today’s drizzle. Right now it is too young, too dense to be more than very good (4 of 5) but the decade would render it outstanding. A fabulous picnic unfolds before us: crab cakes, choice charcuterie, morel mushroom risotto, shrimp, curried chicken, local cheeses, bread wreaths from Model bakery, and more. Each delightful tub circles the table. A tree fends off drizzle. 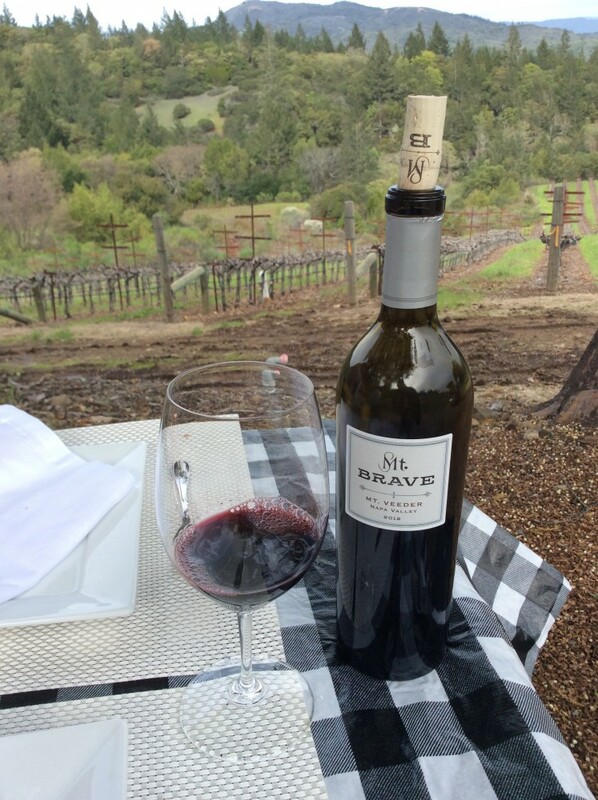 Twin to Mt Brave’s 2012 Malbec, this cab draws from vines sloping below us. 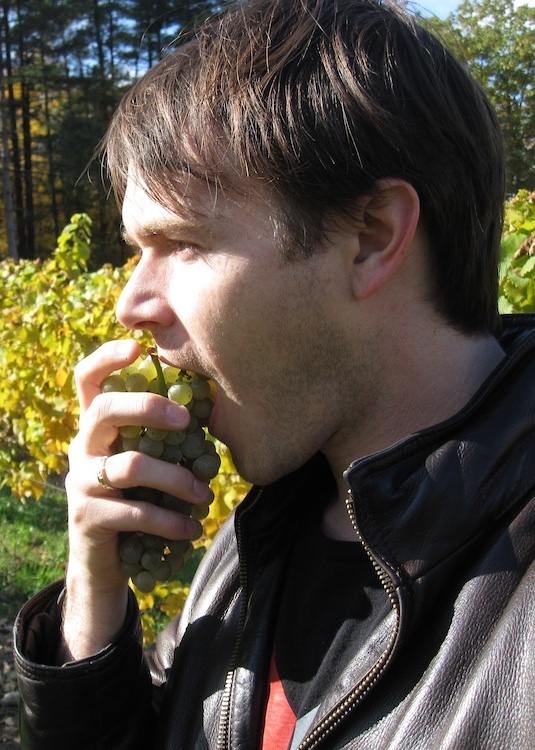 The methods match the Malbec (wild yeast fermented and aged 19 months in newish French oak etc…). I taste the Malbec and the Cab again and again, but between similar sites, methods, and youth these are equally very good, equally indiscernible, yet with a high future ahead. 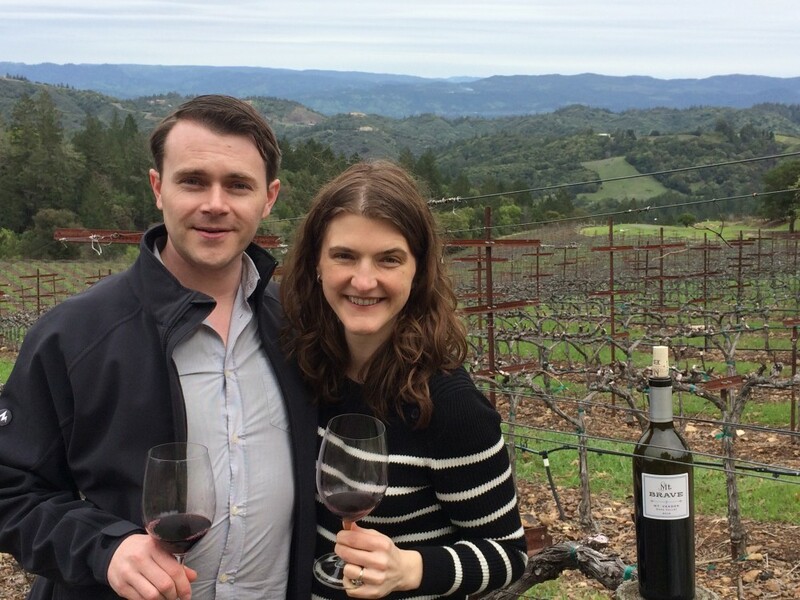 Sally and Marcello pack lunch and us back into Spire’s Mercedes for a trip to Howell Mountain. 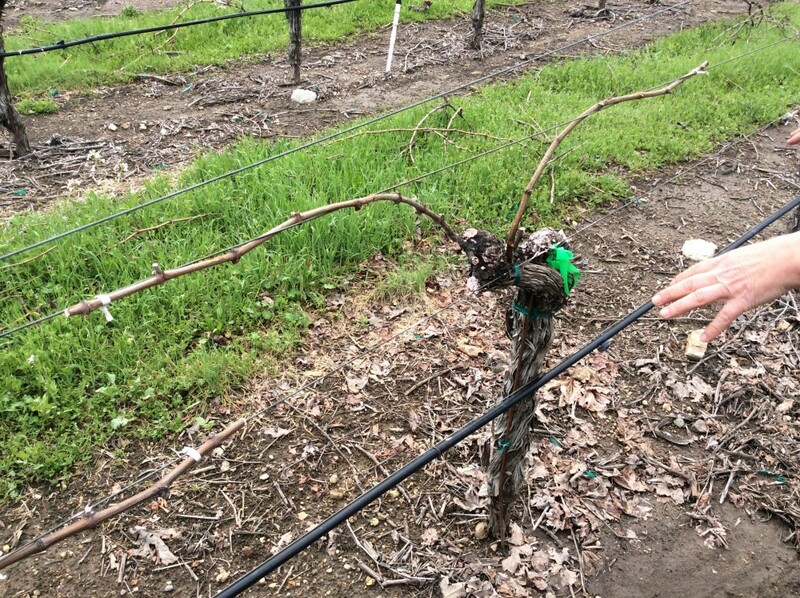 Check back Thursday for Part 2 of Spire Collection’s La Jota Vineyard. 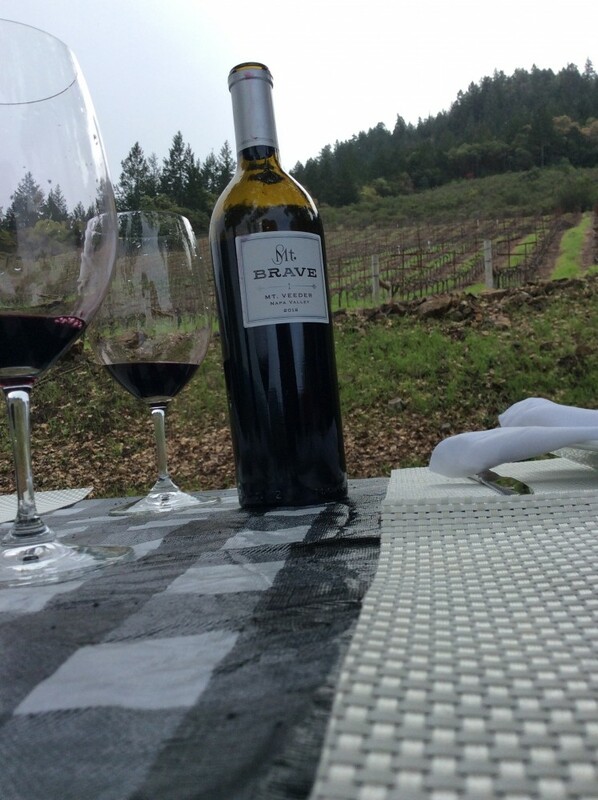 This entry was posted in Uncategorized and tagged Cabernet Sauvignon, California, Cardinal Winery, malbec, Mt Brave, Mt Veeder, Napa Valley, Red wine, wine. Bookmark the permalink.